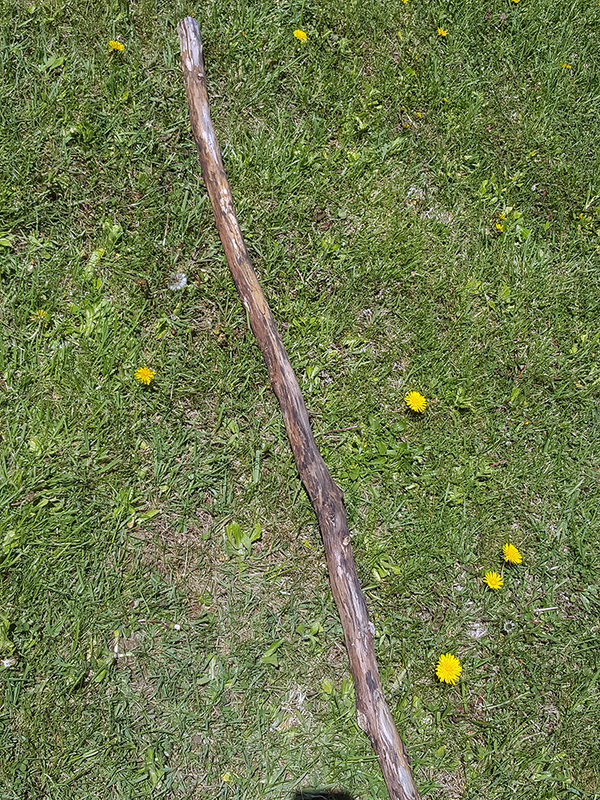 I've been looking for a good, sturdy, fallen tree limb from which to create a walking stick for some time now. And by "I've been looking" I mean I casually think of it on the rare occasion I happen to be in a wooded area. So imagine my delight when Kiera came up to me and said "Happy early birthday, Mom" and handed me a stick. Actually, she found two sticks. They were both pretty rought, but with some cleanup, they could work. So we spent a warm Saturday afternoon together working on our walking sticks. The weather was nice, the work was relaxing. Hanging out and doing a project with my almost 16yr old was awesome. Here are some before and after shots. I didn't take any of the process, because taking pictures on a phone while out in the sunlight is a pain. 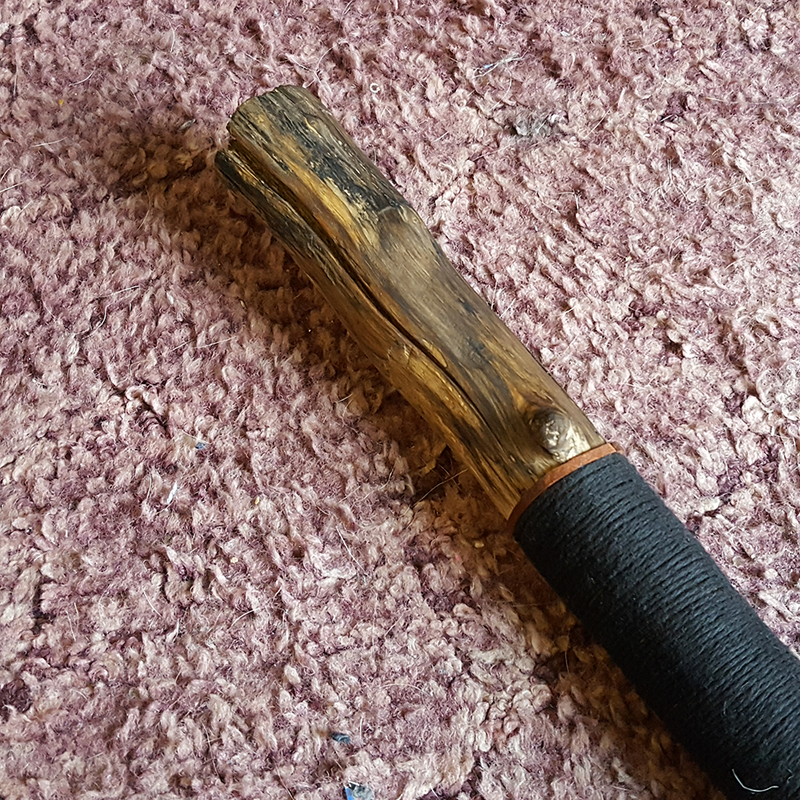 I sawed off the rough end and removed the flaking bark. After being sanded smooth and oiled, the wood had a lot of interesting texture and color to it. Kiera thought the beads would be a nice touch. I love the big split at the top. 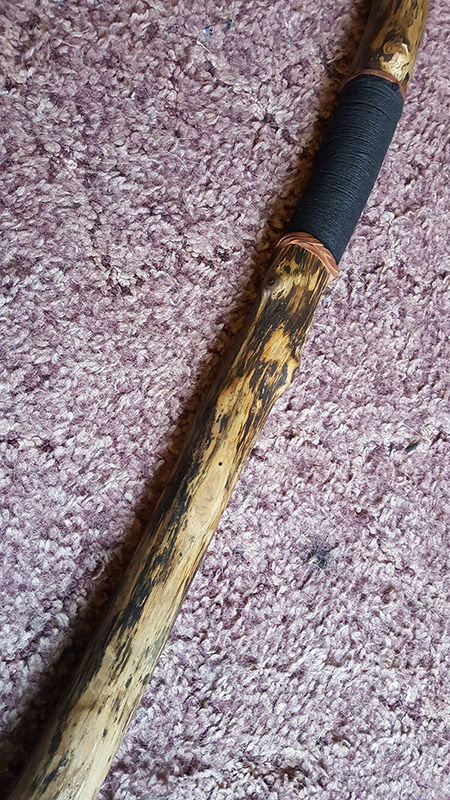 As you can see I wrapped leather and cord around to make a grip. 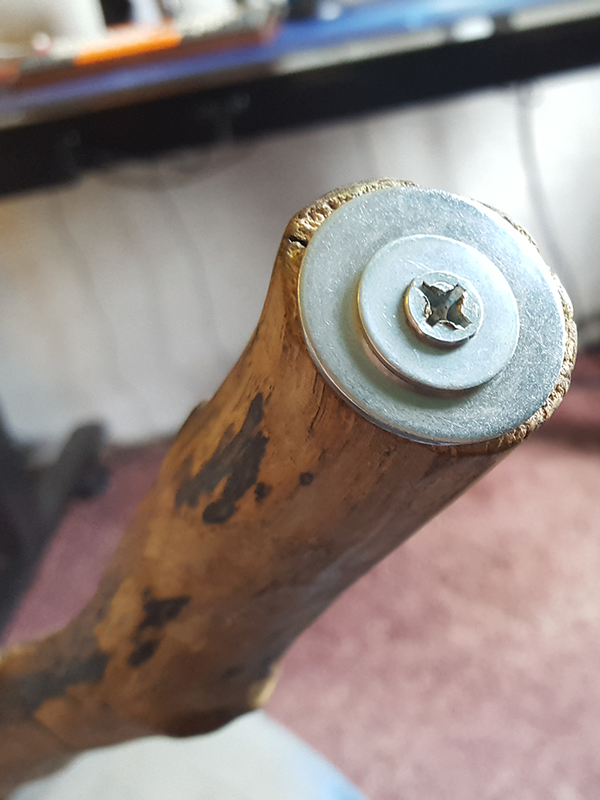 Finally, I added a large screw and a couple of washers on the bottom so it would have a nice, durable tip.